*Toyotas only. Please present coupon at time of write-up. Coupon cannot be combined with any other special and cannot be applied to previous purchases. Valid only at West Coast Toyota of Long Beach. *Toyotas only. Restrictions apply. 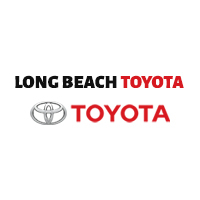 See West Coast Toyota of Long Beach for complete details. Offer valid on TrueStart and True2 batteries only. Please present coupon at time of write-up. Coupon cannot be combined with any other special and cannot be applied to previous purchases. Valid only at West Coast Toyota of Long Beach. Excludes Hybrid Vehicles 84-Month Battery *Toyotas only. Restrictions apply. See West Coast Toyota of Long Beach for complete details. Offer valid on TrueStart and True2 batteries only. Please present coupon at time of write-up. Coupon cannot be combined with any other special and cannot be applied to previous purchases. Valid only at West Coast Toyota of Long Beach. *Save an additional $10 when performing a Brake Fluid Exchange *Toyotas only. Please present coupon at time of write-up. Coupon cannot be combined with any other special and cannot be applied to previous purchases. Valid only at West Coast Toyota of Long Beach.